Clinical hypnotherapy, a cost effective and time efficient way to overcome issues and achieve goals. With Adrian Rusin in Dubai & Abu Dhabi. Because how you think and how you feel create your destiny. Make big change in any area of your life using your powerful mind. Overcome Fears, Improve Relationships, Heal the Body, Stop Stress and Panic, Defeat Depression, Design Your Destiny. Re-map neural pathways and improve brain functioning. Change your genetic expression, body and health. Take control, improve intuition, increase energy. Enter the quantum field of infinite possibilities. Draw new experiences to you. Helping thousands of people permanently transform their life. 2-Day event live in Dubai 2019. Uncover the real reason of any issue and resolve it more quickly. Understand how you engage in negative behavior and begin to change. Be guided through the process of hypnosis, directly to the super-conscious. Find purpose and passion and live each day energized with health and happiness. Clinical hypnotherapy works directly with the root cause of your issue, so you can achieve better results in less time. 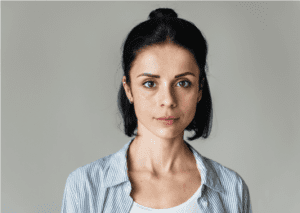 For a lower cost than traditional psychotherapy, and by REPROGRAMMING THE MIND and REWIRING THE BRAIN to a new way of thinking, acting and behaving, our clients typically see results in only 3-6 sessions. Accelerate healing, goal achievement and self-exploration in Dubai and Abu Dhabi. Meet for your session in our Dubai or Abu Dhabi office, or by request at your home. Online sessions for everyone, everywhere. We can provide you with private, secure sessions from anywhere in the world. Focusing on the root cause of issues and direct goal achievement. All you need is high-speed internet and a comfortable place to relax. We send you a link to connect with your therapist at your scheduled session time. It’s that simple and convenient. We use bank grade security methods, so you can simply relax and enjoy your session on phone, tablet or computer. Studies show people achieve their therapy goals more quickly from home due to their comfort level and ability to open up to the process. We don’t have to pass on the costs of office fees, so online hypnotherapy sessions are at a lower cost. Adrian Rusin, certified medical support clinical hypnotherapist. Trained and educated in the United States, local Dubai therapist, and co-creator of the HypLife™ hypnotherapy methods. Internationally recognized as a leader in the field of clinical hypnotherapy due to numerous client breakthroughs, transformations and research initiatives. Providing hypnotherapy services for 20 years. 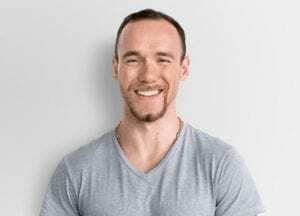 Adrian Rusin is an American trained medical support – clinical hypnotherapist known for bridging science, hypnosis and spirituality in clinical studies with the National Institutes of Health. 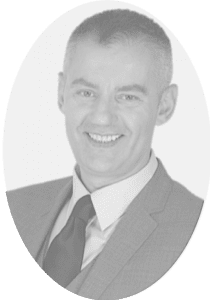 Through his enlightening lectures and clinical practice in Dubai and Abu Dhabi he helps transform the lives of students and clients using the most up to date knowledge, tools and techniques of hypnosis and mind-body treatment. Hypnosis is a direct source to peace, health and goal achievement. Connecting you with your own internal resources, you can achieve higher states of consciousness to manifest what you want rapidly and easily. Hypnosis is a way for you to easily access your subconscious mind and enter the world of unlimited potential. Because the subconscious mind contains the refined wisdom of universal consciousness, it holds within it the ability to help change negative beliefs and reclaim personal power. It guides you toward positive change, to enter into partnership with spirit, and re-learn the universal laws by which everything is governed. With hypnosis you are guided directly to the core of your subconscious and super-conscious mind, helping you to rediscover your own natural power, putting you in control. Hypnotherapy in Dubai and Abu Dhabi is perhaps one of the most effective treatments there is. It has transformed millions of lives and seeded the development of numerous innovations. In a very specific and detailed way, hypnosis guides you to redesign your beliefs, behaviors and emotions so you can achieve goals, overcome fears, improve health and create better relationships. Mysterious and powerful, it is the hidden masterpiece of which you must experience and discover for total awakening. 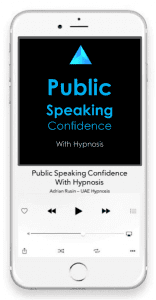 In this self-hypnosis audio you’ll learn strategies that’ll encourage you to speak with confidence in front of small and large groups of people. Begin to program your mind to make speaking in public easy and enjoyable. Written and recorded by Adrian Rusin CMS-CHT. Find out how hypnosis can help you.